The iPod classic 4G was Apples next release in their long line of iPod classic devices. Common repairs include LCD screen replacement, front casing repair, rear casing repair, and a complete rehousing. These are services that can be very beneficial to your iPod classic 4G. A lot of the problem with these iPods is that they're commonly dropped on their front and backside and depending on the damage, you will have to have it repaired. If the LCD screen is damaged, then you will need an LCD screen replacement service. If the case to the phone itself has become damaged, then a front casing, rear casing, or complete rehousing service is something that you will need to look into. 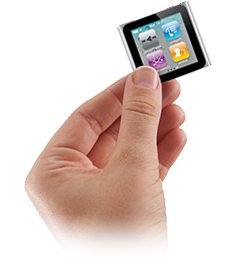 Here at The iPod Repair Centre we can offer repairs on all iPod Classic 4G problems and breakages.